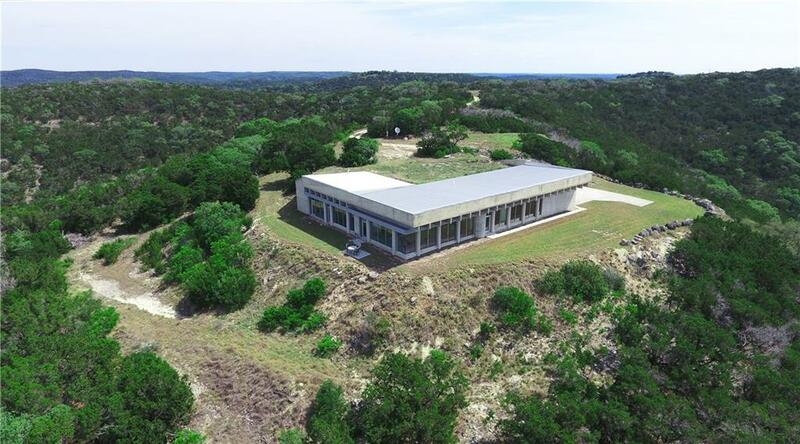 As featured in Architectural Digest, this rare, modern luxury home on 42 acres has panoramic views of TX Hill Country, yet only 10 minutes from Leakey. 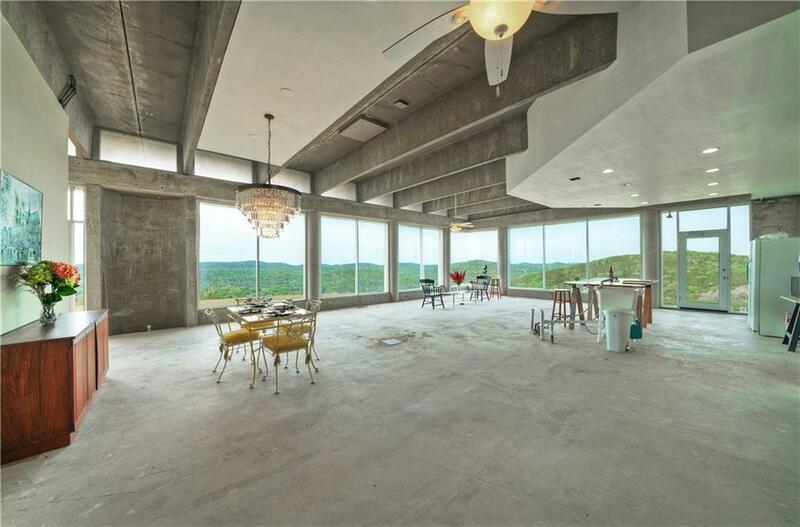 Watch clouds drift by and gorgeous sunrises and sunsets from large mountaintop retreat with soaring 7.5-ft glass windows and 13-ft ceilings. 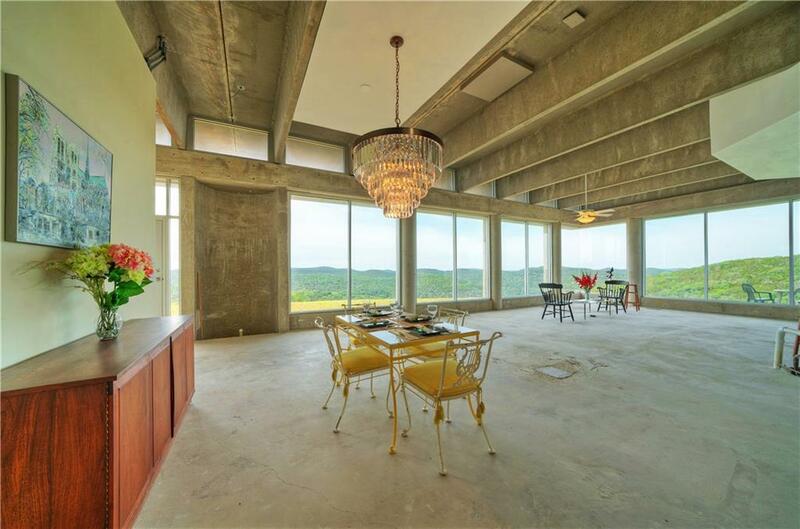 Huge, open Great Room is picture-perfect for private getaways or entertaining. Ready for your buyer's finishing Touches. 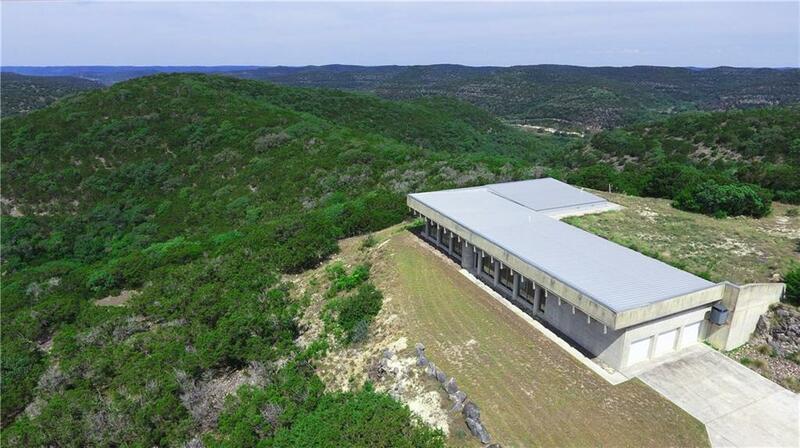 This green earth-sheltered house off one of most scenic highways in TX must be seen!